"Some of the greatest chess minds in history of the game employed the positional sacrifice as the weapon of choice to win tournaments, matches and even World Championship titles." Positional sacrifice is a very delicate, yet very powerful technique that mostly advanced chess players perform. Some of the greatest chess minds in history of the game employed the positional sacrifice as the weapon of choice to win tournaments, matches and even World Championship titles. Number one chess player and the reigning World Champion Magnus Carlsen is no exception. He proves over and over again, against the toughest competition that the positional sacrifice is something that can blow up an otherwise equally looking position and score a crucial win. The amateur players typically DO NOT understand the relative value of chess pieces well enough and prefer to simply keep the material. Often the positional sacrifice comes with an element of surprise. This additional psychological component makes it a very effective weapon in practical chess. In a matter of a single move, the game can take a completely different course and not many players are prepared for that. That’s why the positional sacrifice is a fundamental element of the game that everyone should study to grow as a chess player. 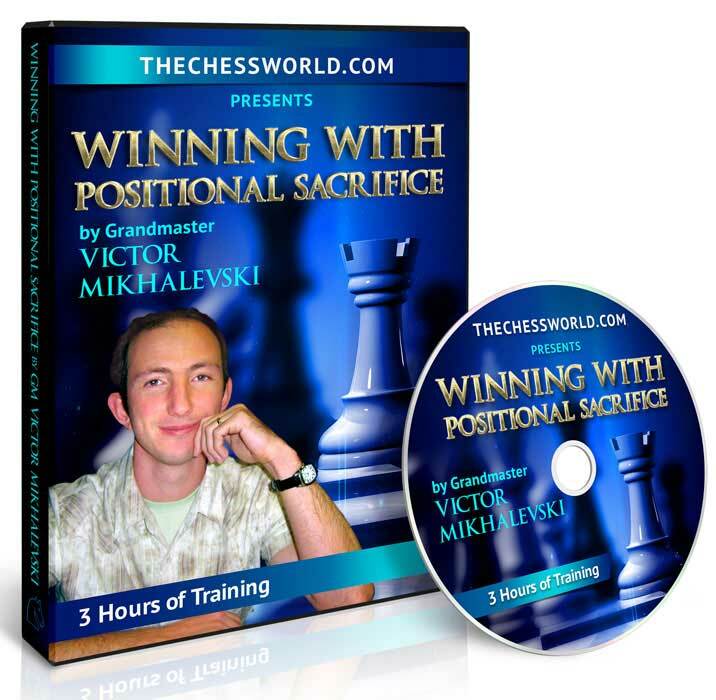 Winning with Positional Sacrifice is a comprehensive video course that will tremendously help you at mastering one of the most powerful weapons of modern chess. This chess DVD is presented by Grandmaster Victor Mikhalevski, a very experienced player and renowned chess coach. 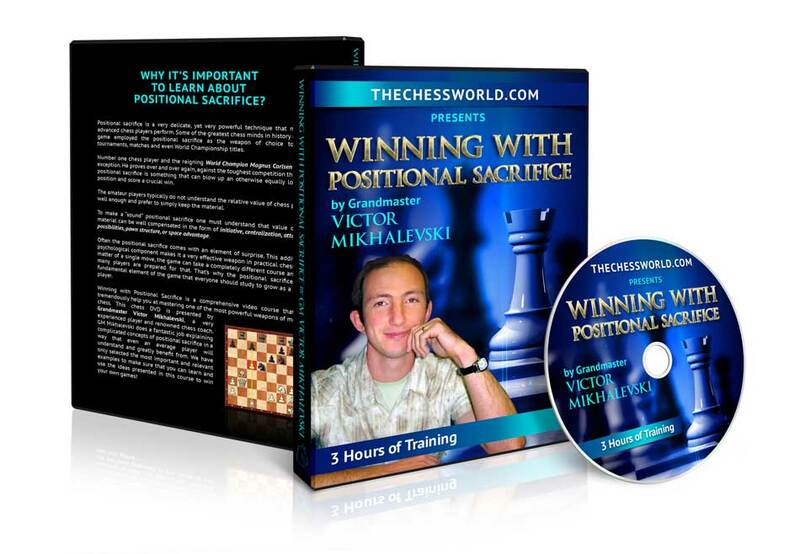 Instant download of the 3+ hour long, positional chess video course with GM Victor Mikhalevski. This video covers the most important concepts of positional sacrifice that any competitive chess player must know. 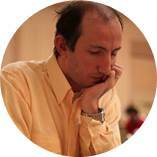 is a strong International Grandmaster with a peak rating of 2632, making him the 7th highest rated playing in Israel. He has won many elite tournaments including Calvia Open, Canadian Open Championship, Tel Aviv Open, as well as becoming U20 Israeli Champion and member of the bronze winning Chess Olympiad Team. GM Mikhalevski have been teaching chess for over 20 years and his students won North American championships and were medalists in the World and European Championships in different age categories.